Affiliate links tracker is a one stop solution to track all your affiliate links. You can track details such as visits count, referrer, customer country and customer platforms. This tracker doesn’t bother about your affiliate platform. Download Affiliate Links tracker FREE version. Download Affiliate Links tracker PAID version just for $2. Let’s get dive into the All in One Affiliate Links tracker and explore the features. After you have successfully purchased the affiliate links tracker tool, you have to do few steps to access Google APIs. Open the spreadsheet. Go to Tools->Script Editor. A script editor window will be opened in new tab. Go to Resources-> Advanced Google Services. Scroll down and ensure that URL shortener API is turned ON. Note: By default, it’ll be enabled. After you have done that, click the “Google Developers Console” link that you saw in the above image. You’ll be taken to Google developer console Dashboard. Click on the Library present down to Dashboard and type “URL shortener” in the search box. It’ll display URL shortener API as shown below. 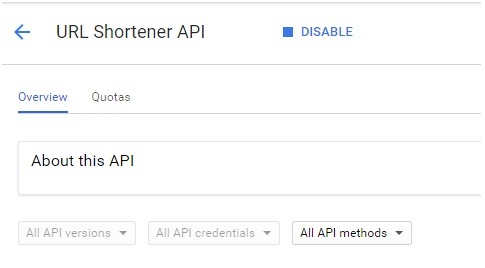 2) Verify URL shortener API is enabled in Google developer console. This Google spreadsheet can be used to 1)Shorten multiple URLs at a time 2)Analyze the shortened URL clicks 3)Give detailed overview about the visitors, platforms and click count 4)Expand the Google shortened URLs. As I said early, you have to shorten all your affiliate links with google shortener. I know it would be difficult to shorten one by one for 100 or 1000 URLs. So I’ve added this as feature #1 in affiliate links tracker to save your valuable time. You would have all your affiliate links kept in either Spreadsheet or notepad or any preferred format. If you want to share this link to your email you can click on the button “Share this link to my Email”. It’ll share this Google spreadsheet link as an attachment to your email as shown below. 1) How many maximum number links can I shorten with this Google URL shortener? 2) What is description column? Description column is optional and it can be used to know what the URL is pointing to. 3) Does it share the sheet as an attachment? No. It just shares the URL link to email ID associated with Google drive. From your email, you can click on the link and open the spreadsheet and resume your work. If you want to save the data before creating another set of short URLs. Go to File ->Download As-> Microsoft Excel format. 4) How many times can I send a link to my Gmail? You can share this spreadsheet link 100 times per day. It’ll give you all time clicks, this month clicks, this week clicks, today clicks, last two hours clicks. All time clicks- Show the overall clicks for the shortened affiliate links. This month clicks- Show the last 30 days clicks from today. This week clicks- Show the last 7 days clicks from today. Today clicks- Show the last 24 hours clicks. Last two hours clicks- Show the last two hours clicks count. 1) Does it track the long URL clicks? No. Affiliate links tracker tracks only the count of Google shortened URLs. 2) Does it track only the shortened URLs from my Google account or shortened from sheet 1? No. Affiliate Links Tracker uses Google API so you can track the status of all Google shortened URLs (Shortened from other Google accounts as well). In the URL Analytics tab, you can see only the count of clicks. If you want to do further analysis like visitors country, devices and referrers then you can do so in the Deep analytics tab. Once you are done you can see the overall count split by country, referrers, and platforms. Country– Display the top 10 list of countries where your URL is visited. Country Visit– Display the country visit. For e.g In the above image, the given link was visited 22 times from India. Referrer-It defines the website from which the link was viewed. Referrer Visit- It defines the referrer count. For e.g. 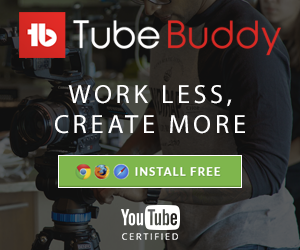 In the above image, the link was visited 66 times from YouTube. Platforms– It defines the operating systems from which link was visited. Platform count– It defines operating system count. For e.g. From windows OS the link was visited 69 times. 1) When I run the deep Analytics I couldn’t find any/some data in This Week section? It means your URL is not visited by the customer for the past 7 days. 2) When I run the deep Analytics I couldn’t find any data/some data in All Time and This Week section? It means your URL is very new or not visited by users. If you want to expand the list Google shortened URL then this feature will help you to do that. You need to copy paste the Google shortened URLs in Column A and description(optional) in Column C. Once you are done, click the “Expand URLs” button to generate the long URL links in Column B for all the shortened URLs. How do I choose the best Web hosting services with 10 important Key factors? Let me know if you need assistance/looking for new features to be added to Affiliate Links Tracker.